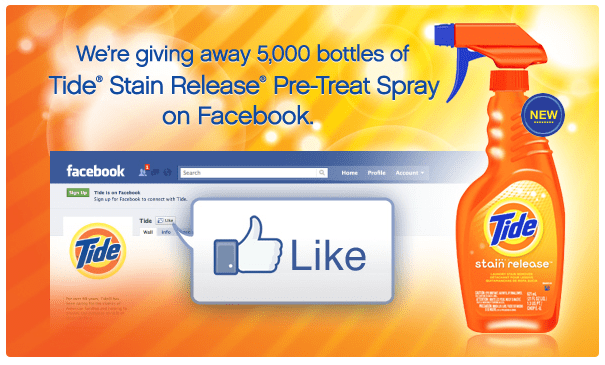 Tide will be giving away 5,000 Bottles of Tide Stain Release on Facebook this Friday! Just wanted to give you a head up. The giveaway will start this Friday, December 3, 2010 at Noon (EST). Tide will be giving away 5,000 bottles of Tide Stain Release Pre-Treat Spray. So, become a Facebook Fan by “liking” Tide and then now, so you’ll be ready when the give away starts.